If you think a door is going to stop a zombie, think again! 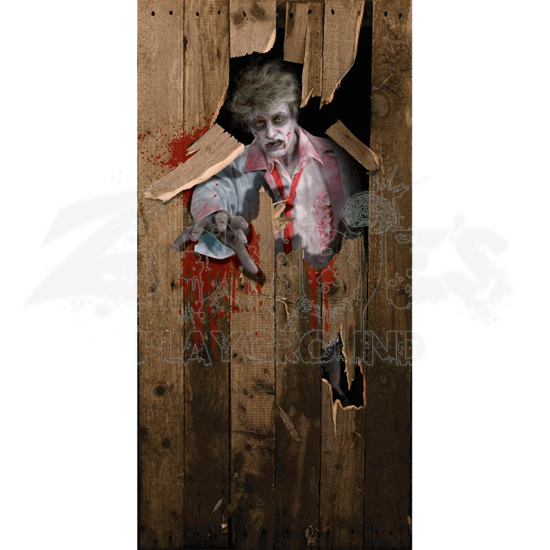 As the Zombie Door Cover shoes, zombies are a ravenous and tenacious breed that will never stop, smashing their way through obstacles, including doors, to reach their prey. 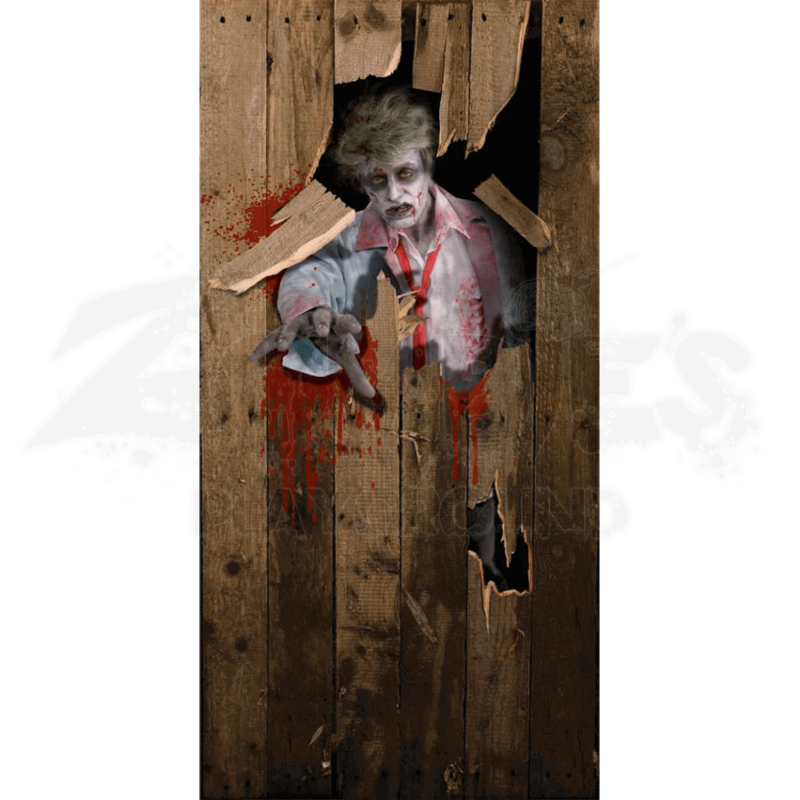 This impressive decoration creates the classic scene of a zombie as it batters and bashes its way through a wooden door, all to get to the hiding and terrified humans that wait on the other side. This decoration is made from vinyl and measures 3 feet wide and 6 feet tall. It fits nicely on the back of any door and can be secured with tape, tacks, or any other method you prefer. It depicts a wooden door made of simple planks that has had a hole smashed through it, while a zombie on the darkness of the other side reaches through to try and grasp for living prey. Pieces of wood seemingly fly off, as though the zombie just smashed through seconds ago, while splatters of blood drip and ooze down the door. Not many people want to see a zombie come bursting through their door, but luckily, the Zombie Door Cover will not do you, or your door, much harm. Just make sure that you do not mistake it for a real zombie, if the real thing should come knocking at your door.